Enjoy the comforts of home when you stay at the all-suites Aston Rasuna Hotel in Jakarta and, when you make a direct online booking, enjoy rates as low as USD78 per night for a One Bedroom Suite. Rates include breakfast for two people and internet access. A 10% service charge and 11% local taxes are additional. This promotion is available through December 31, 2012. 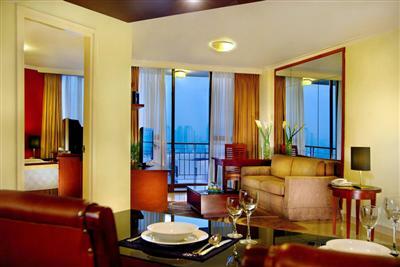 Nightly rates start from USD84 for a 2-Bedroom Suite and USD98 for a 3-Bedroom Suite. Rates may be higher during peak periods such as holidays. Follow the direct booking instructions on the official Aston Rasuna hotel website to get these discounted prices. 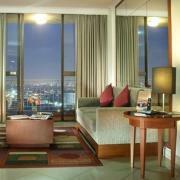 The Aston Rasuna is an all-suites hotel located in Jakarta’s central business district. Suites are available in lay-outs with 1, 2, or 3 bedrooms and all have a living room, kitchen and dining area, bathroom, washing machine, and a private balcony. 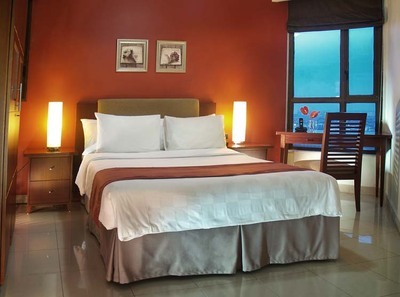 Hotel facilities include meeting rooms, a spa, swimming pool, and restaurant. Visit the Aston Rasuna website for more information or to make an online booking.